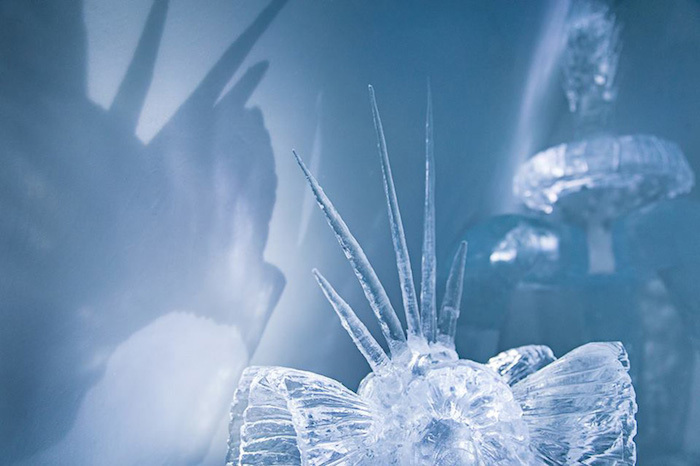 Here’s a little something for fans of the wintertime and adventures! 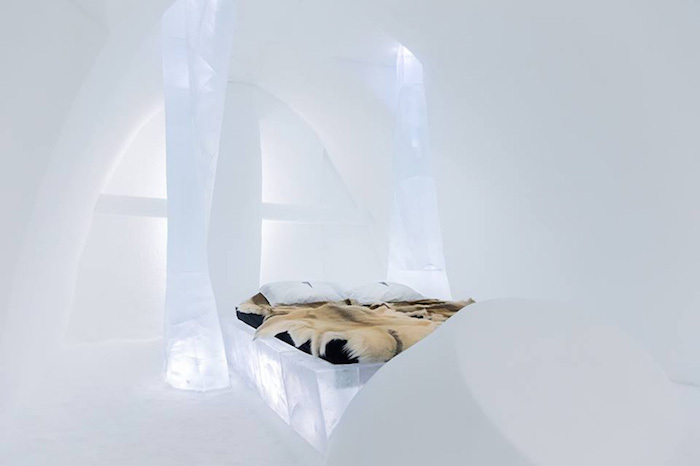 For 25 years in a row, a little village called Jukkasjärvi in Northern Sweden has created a hotel made entirely from ice and snow (‘snice’, actually – see below). 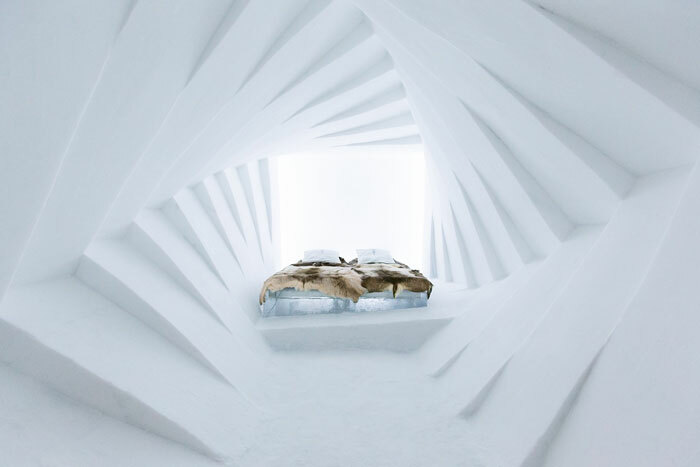 Each year, the hotel was inspired by a different artistic theme. The suites are designed in collaboration with hundreds of artists from around the world, and together they create beautiful sculptural rooms. 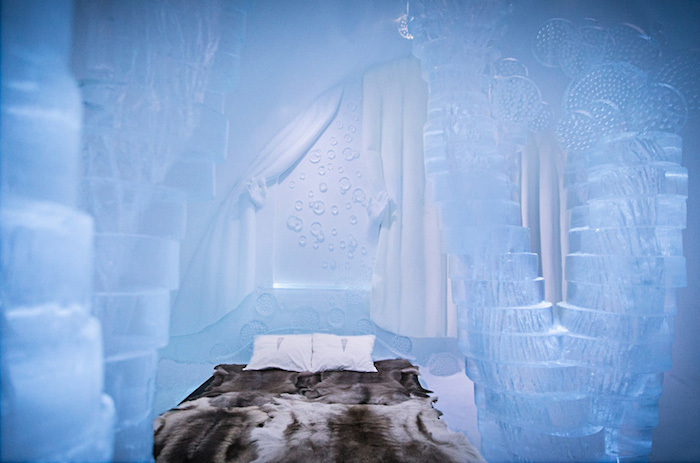 The hotel also has a top notch restaurant and an icebar. 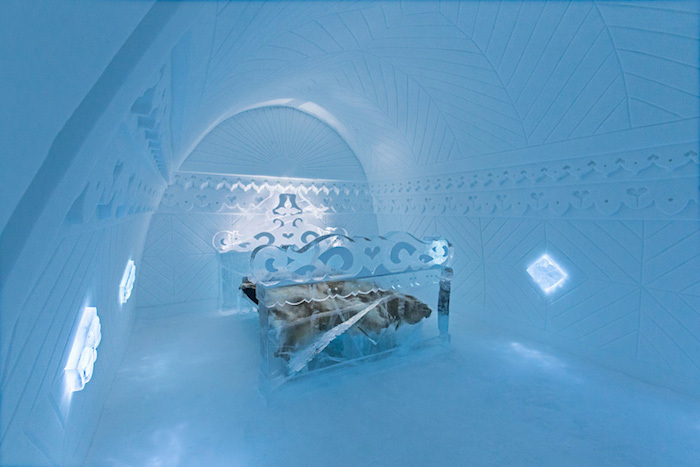 The icehotel in Jukkasjärvi is the first one ever built, and the largest in the world. 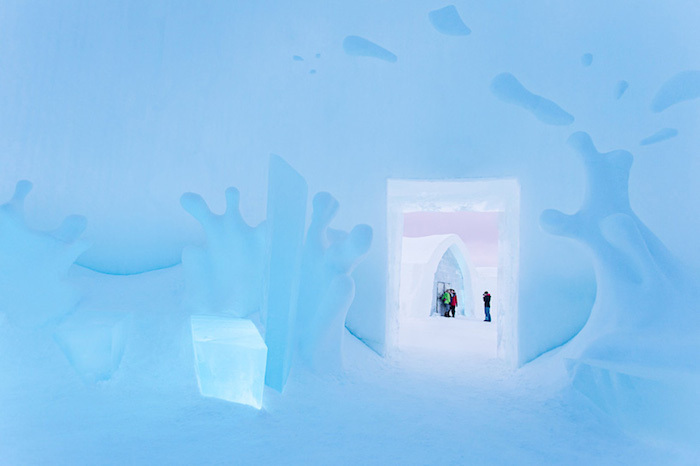 It is made of 1,000 tonnes of frozen water and 30,000 m3 of ‘snice’, combination of snow and ice particels mixed with air. It takes up to three months to build the hotel and to create its interior – Quite a massive construction process! 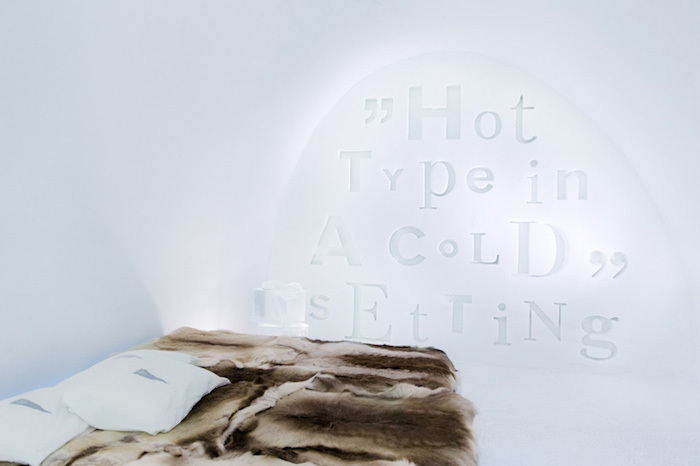 If you’re not intimidated by the idea of spending a night in a bedroom made of ice and you have the stamina to sleep in cool temperatures, this place is totally worth a visit. A once in a lifetime adventure, in my opinion! Maybe a look at these beautiful pictures will convince you. Similar alternatives are also available near Alta, Norway, and in Rovaniemi and Kemi, Finland.